One of the most frequently performed contemporary composers, Arvo Pärt has become a phenomenon whose unusual reach is felt well beyond the concert hall. This ground-breaking collection of essays investigates both the causes and the effects of this success. 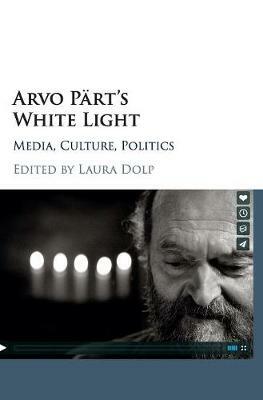 Beyond the rhetoric of 'holy minimalism' that has accompanied the composer's reception since the mid-1980s, each chapter takes a fresh approach toward understanding how Pärt's music has occupied social landscapes. The result is a dynamic conversation among filmgoers (who explore issues of empathy and resemblance), concertgoers (commerce and art), listeners (embodiment, healing and the role of technology), activists (legacies of resistance) and performers (performance practice). Collectively, these studies offer a bold and thoughtful engagement with Pärt as a major cultural figure and reflect on the unprecedented impact of his music.